The Cardinals have activated INF Jedd Gyorko from the 10-day injured list. 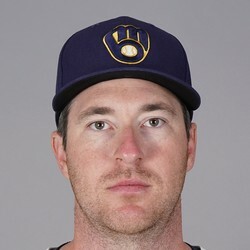 Gyorko was nagged by a right calf strain most of spring training. INF/OF Drew Robinson was optioned to Memphis (AAA) in a corresponding move. Gyorko has hit 61 home runs for the Cardinals since 2016, second only to Matt Carpenter (81) in that span. He's a terrific spot-start against left-handed pitchers in deeper leagues.